Sentenced 7-06-2015 to 3 years in prison on five counts of aggravated animal cruelty. McCallum's criminal history includes: possession of burglary tools, multiple counts of grand theft, trafficking in stolen property, and witness tampering. 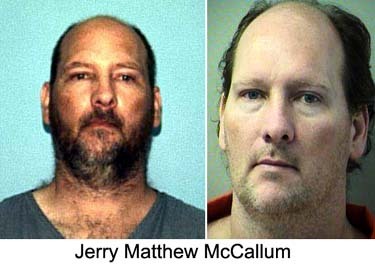 FLORIDA -- Jerry McCallum, who shared a Crestview-area home with a woman and 92 cats, will serve 36 months in prison for cruelty to animals and violating his probation. In December of 2014, McCallum’s probation officer entered the home at 1208 E. Chestnut Ave. and discovered that little to nothing had been done to comply with his request to clean it. The Panhandle Animal Welfare Society was called in and removed the 92 cats. 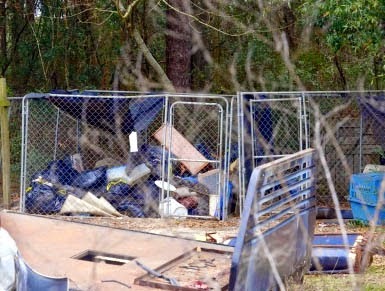 Some were already dead and nearly all were so sick they had to be put down, PAWS Director Dee Thompson said afterward. Some of the cats were missing eyes, while others had holes in their mouths and tongues. All had been exposed to highly contagious diseases. McCallum pleaded no contest Monday to five felony counts of animal cruelty and two misdemeanor charges of animal abandonment, according to Assistant State Attorney Clifton Drake. He admitted to the probation violation. Felicia Guy, the woman with whom McCallum shared the Chestnut Avenue trailer, did not offer a plea at her Monday docket day, but will appear in court again Friday, Drake said. “I anticipate she probably will plea, but I can’t say that for sure since nothing has been signed yet,” McCallum said. First Judicial Circuit Public Defender Bruce Miller confirmed that his office negotiated the McCallum plea. Guy is represented by the Office of Regional Counsel. 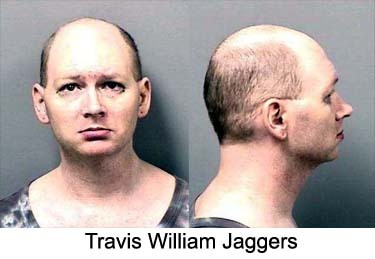 FLORIDA -- Travis William Jaggers did unlawfully and unnecessarily overload, overdrive, torture, torment, deprive of necessary sustenance or shelter, or unnecessarily or cruelly beat, mutilate, or kill any animal or cause the same to be done, in that he did bludgeon a cat named Ripper in the head with a hammer repeatedly until it was dead, in violation of Florida Statute 828.12(2). On 12/01/15, I responded to 3871 South Millstone Point, in reference to an animal cruelty incident. Upon arrival, I made contact with the Complainant, Mr. Christopher Cheatham, who advised his girlfriend, Tara (aka Mr. Travis Jaggers) had killed his 13-year-old cat Ripper. He advised this occurred while the complainant was not in the residence. 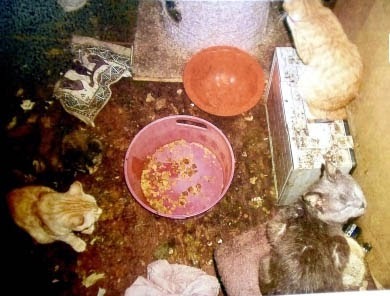 When he did returned back home and he could not find his cats, Defendant Jaggers then advised him that they had been placed outside, not in the home anymore. He stated one of the three cats returned home; however, he had a bad feeling about the other cats, and then asked Defendant Jaggers if he had killed any of the cats. At that time, the Defendant admitted to him that Ripper had come running into the house and he had killed it with a hammer by hitting it in the head and then buried it in the backyard in a Playstation 2 (ps2) box and put a Slinky toy on top of the grave. After speaking with the Complainant, I then went into the residence where I made contact with the Defendant. When I asked the Defendant his name, he stated his name was “Ms. Tara Jaggers”. When I asked what his given name was he stated "Mr. Travis William Jaggers". I informed the Defendant that I was there in reference to investigating the incident involving the cat and Mirandized the defendant via a preprinted agency issued Miranda card. At that time, the Defendant stated he would speak with me. I asked him what he could tell me about the cat Ripper and he stated, "I killed it by hitting it in the head with a hammer and then I put it in a bag and put it in the trash. I did not feel that was right so I took it out of the trash and put it in a ps2 box and buried it out back." When I asked the defendant when this incident occurred he stated it was on the calendar that he had wrote "rest in peace Ripper". He had pointed at a calendar hanging on the wall, at which time the date was showing 11/27/15. I asked him what time of day it occurred, morning, afternoon or evening and he stated it occurred in the morning time. I asked him why he would hit the cat in the head with a hammer and bury it in the backyard and he said, "because it ran into the house really fast and I grabbed it and smacked it." When I asked where this occurred in the residence, he pointed to the front door. Even after he attempted to clean it up there was still blood spatter on the walls and the floor. At that time, I advised the Defendant he was being placed under arrest for Animal Cruelty. He was handcuffed (double locked) behind the back and secured in the rear of my patrol vehicle. Animal control was on scene and will be exhuming the body of ripper for a necropsy to confirm the cause of death. The defendant was then transported to the citrus county detention facility for booking and processing. The defendant's bond was set at $2,000.00 per the bond schedule. 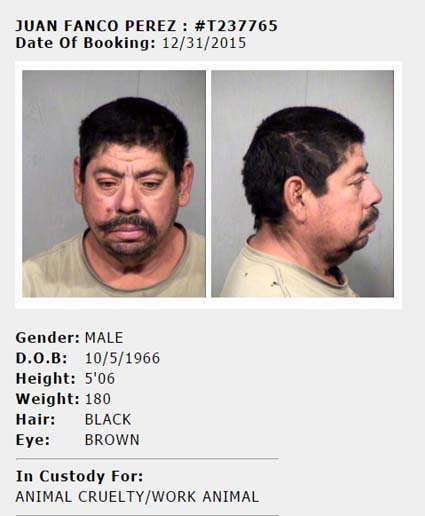 ARIZONA -- Juan Fanco Perez decided he didn't want to be counting down the new year with everyone else. Instead, Juan decided he'd like "three hots and a cot" with the Sheriff who detests animal abusers, Sheriff Joe Arpaio. Happy New Year Juan! I hope justice delivers in 2016 and you get your deserved punishment. MISSOURI -- A Wellston man was charged Wednesday with hanging his mother's pet cat in July. Maurice Williams, 23, of the 6400 block of Wells Avenue, was charged with a felony count of animal abuse. During an argument with his mother on July 16 at home, Williams wrapped a chain around her cat's neck and tossed the feline over his mother's backyard fence, strangling it, police say. Police say Williams left the house before animal control officers arrived. 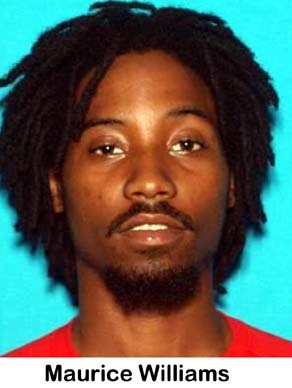 Williams was arrested months later, police said, and told police he remembered arguing with his mother but couldn't recall killing the cat. He also said he couldn't remember anything from the rest of that day and awoke the next morning at his brother's house. Police said in court records that Williams did remember after his brother asked him why he killed the cat. Williams was ordered held on a $15,000 bail. 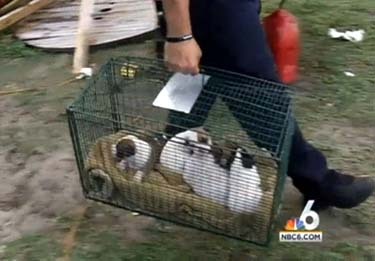 FLORIDA -- Twelve dogs were removed from a Clewiston home Wednesday after investigators say their owner was starving them and allowing them to fight with each other. James Herrmann, 75, was arrested on animal cruelty charges and is being held in the Hendry County Jail on $5,000 bond. 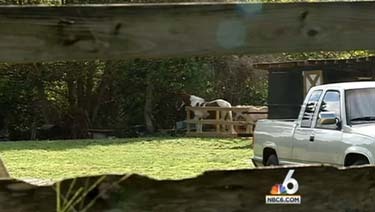 According to the Hendry County Sheriff's Office, a search warrant was served at his Appaloosa Avenue home Wednesday after ongoing complaints made to Clewiston Animal Control. Animal control officers told investigators that Herrmann was starving the dogs and witnessed them fighting, with no medical care provided for their wounds. They said the smell of urine and feces made it difficult to enter the home. Nine full grown dogs and three puppies were seized and taken into custody by Gulf Coast Humane Society. Some of the dogs had to be sedated in order to safely remove them from the home. 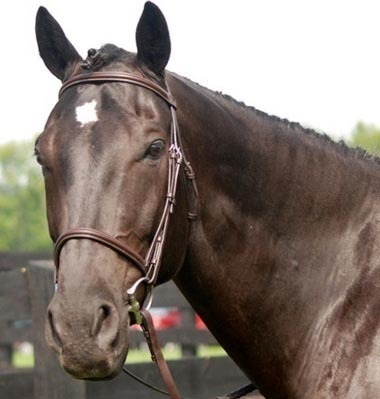 NEW YORK -- Jak, a 16-year-old show horse, was more than a family pet to Paige Pavlot. "My parents bought Jak for me when I was going through some difficulties in college," Pavlot, 25, said in an email. "He wasn't just a show horse. He was my life. Jak did anything I asked of him and showed me a special kind of love." 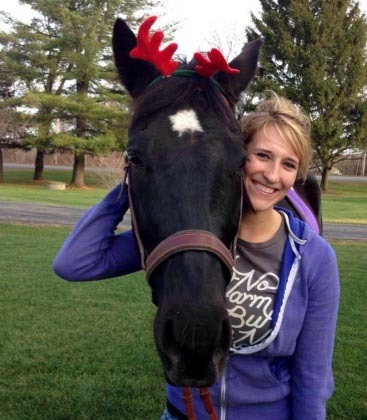 Jak was shot and killed around 12:30 p.m. Tuesday on the family's farm in Oneida County. Kirkland Police Department said a man driving a gray Dodge Avenger on Kirkland Avenue in Clinton crossed into the other lane -- disrupting traffic as he pulled his car to the side of the road, police said. With his car stopped across the road from the farm, the man pulled out a long gun and fired once, killing the horse, police said. Pavlot said Jak would have turned 17 in April. The family has two other horses that were not harmed. 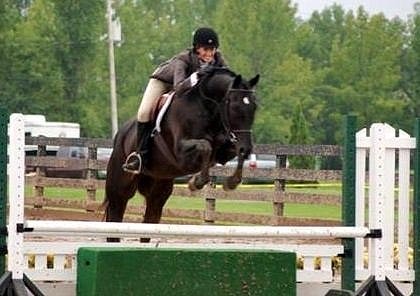 "We spent many hours riding through trails and competing in horse shows," she said. "He took champion in many of the shows we rode in. He really was a special boy." Pavlot said she had a special bond with Jak. "We were very in tune with each other," she said. "It was almost like he knew what I was thinking and I could read his mind. I was lucky to have him and share love and happiness with him -- even though it was cut short." Pavlot said her family is well-known in the community and doesn't have any enemies. "We feel this was a random violent act by a truly sick and disturbed individual," Pavlot said. "Our horses have always been safe and happy," she said. "Not once has anything like this happened to us or anyone we know." Police asked anyone with information about the shooting to call (315) 853-3311. Police also asked anyone in the area with security cameras to check for footage of the shooting. 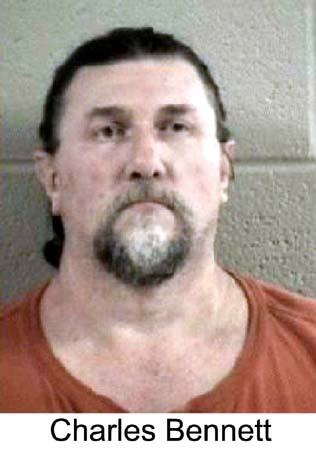 CONNECTICUT -- A 54-year-old Bristol man charged with cruelty to animals after locking his dog in his vehicle in the August sun earlier this year was granted a one-year conditional discharge Tuesday in Bantam Superior Court. Sergey Rodionox, of 26 South St., was arrested after police were alerted to the dog in the car near the Price Chopper supermarket in Torrington. The temperature inside the car was 118 degrees, police said. Rodionox paid $15 to the court and was ordered not to violate any laws over the next year. GEORGIA -- A northwest Georgia man who hoped that justice would prevail after the cruel shooting of the dog he rescued and now cares for is baffled that the district attorney has dismissed the charge against the shooter. Prosecutors say Charles Anthony Bennett, 55, of Dalton, Georgia, who shot a terrier mix dog in the face in August was "legally justified." But Sexton, who reported the shooting and rescued the dog, just can’t understand how animal cruelty charges were dismissed against the shooter. District Attorney Bert Poston said a review of the case found that Bennett’s actions were legal. 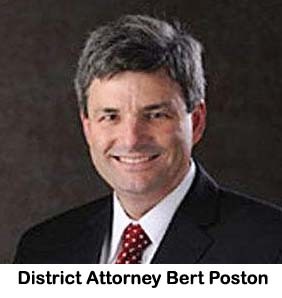 Poston said Bennett fully cooperated with law enforcement officials and voluntarily came and talked to prosecutors without an attorney and provided documentation of his history with the dog. 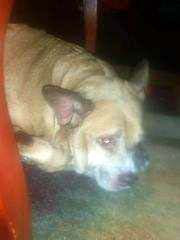 "(The) facts are undisputed that Mr. Bennett took the dog in as a stray some months before the incident and took care of it, including caring for some medical conditions it had at the time," Poston said. 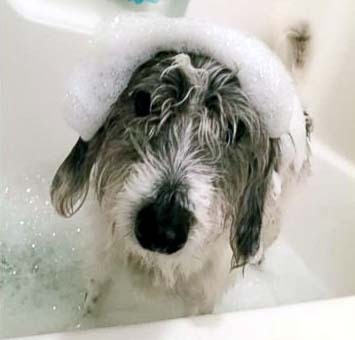 "He had numerous behavioral problems with the dog including significant destruction of property and made efforts to find a more appropriate home for the animal without success. He ultimately decided that he would either have to put the dog down or release it back as a stray and decided the former option was more appropriate." At 55 years of age, Mr. Bennett knows that there are these places called "animal shelters" and that at these "animal shelters", guess what? They take in animals you don't want anymore! Wow, what a concept? Did he even bother to call any of them? Does the DA want to now want to give some excuse about why this idiot felt his only options were to shoot the dog or turn it loose??! Poston also said Bennett took the dog out "with the intention of humanely putting the dog down and then returning it to his property for burial." The problem with this argument is that Bennett did NOT go look for the dog after he shot it in the face and gosh! realized he hadn't killed the dog. It was his responsibility to look for the dog. And he didn't. He got in his car and drove away!!!! 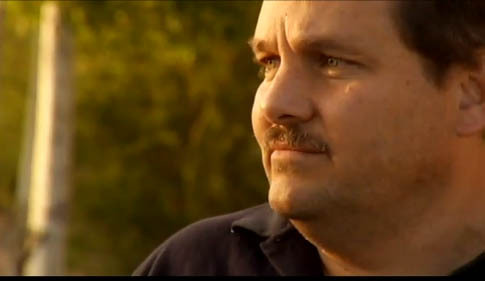 Back in August, Sexton and his wife were walking their three dogs on a forestry road about 20 minutes south of Dalton, Georgia. As they returned to their car, they heard gunshots. When they began to drive away, they saw a small dog walking in the road, its face bloodied. 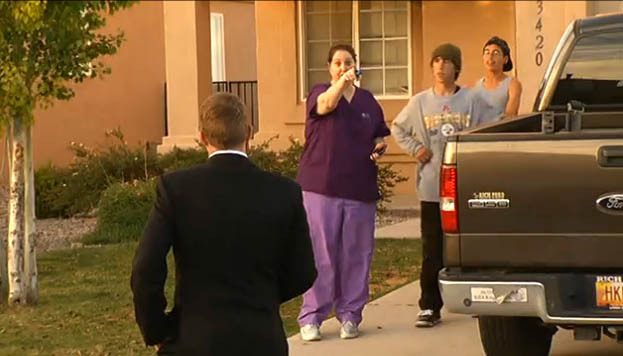 They followed a car they believed had put the dog out and called 911. A sheriff’s deputy responded and pulled the car over. Bennett was arrested and charged with misdemeanor cruelty to animals. 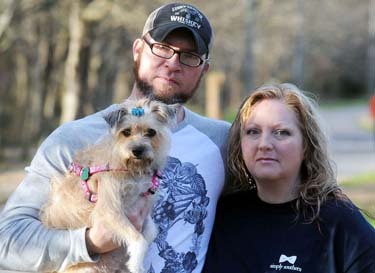 The Sextons returned to the scene of the shooting, picked up the dog and took it to a veterinarian’s office. Sexton says the dog, named Angel, has since recovered physically. But while Angel’s physical wounds have healed, Sexton says she still shows signs of trauma. “About a month after we got her, I was doing some work on my car, and I grabbed something to prop the hood open. When she saw me grab that stick, she ran inside and cowered down,” he said. That’s why, he said, he was upset to learn that prosecutors had dropped the charge against Bennett. Poston said Bennett offered to pay for the dog’s veterinary bills and that money has been collected and will be forwarded to Sexton. But Sexton says he isn’t interested in the money. “That doesn’t satisfy me. I want justice for this little dog. I want something to be done to show people they can’t treat animals this way,” he said. He caused unjustifiable pain by his act of shooting the little dog in the face. A reasonable person has knowledge of animal shelters and that these shelters take unwanted animals. Ergo, he willfully neglected to treat the animal in a humane manner by taking it to a shelter. 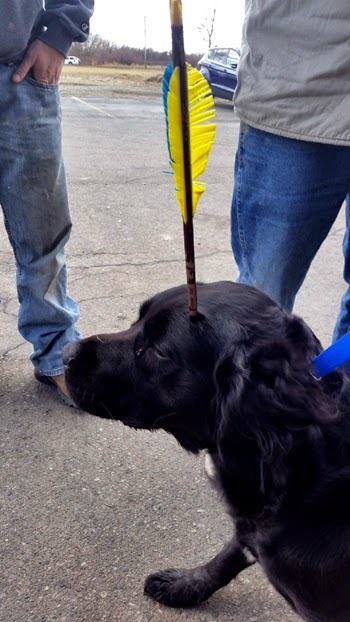 He knowingly caused physical harm by shooting the dog in the face, failing to kill it and failing to "finish it off" in order to minimize the amount of trauma to the animal. Instead, after shooting it in the face, he got in his car and drove off. Besides that, who shoots an animal IN THE FACE to kill it??? ILLINOIS -- A Shiloh man faces felony charges after he is accused of beating his girlfriend’s dog to death with a hammer. A Collinsville woman reported to police Monday that her boyfriend had killed her dog by beating it with a hammer. Collinsville Police officers found the dog’s body inside her house with obvious trauma consistent with being struck multiple times with a hammer, according to a police statement. 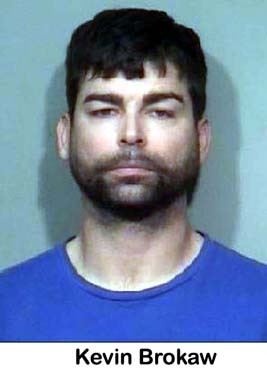 Kevin Brokaw, 40, of Shiloh has been charged with aggravated cruelty to animals, a Class 4 felony. 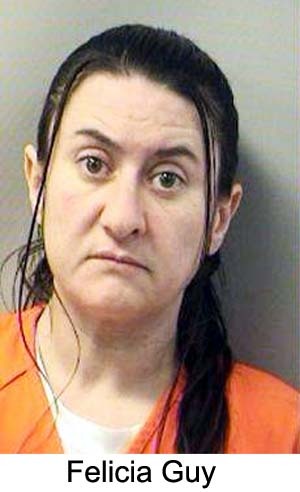 Madison County Associate Judge Jennifer Hightower set bail at $50,000. He is currently in the custody of the Collinsville Police Department. WISCONSIN -- Coco is a greyhound mix who loves to chase tennis balls, so it’s no surprise that she confiscated one during a recent romp at the Houska Park dog park in La Crosse and took it home. 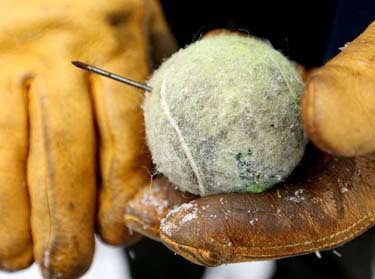 What was surprising — and appalling — to her master, John Storlie of La Crosse, was finding a nail embedded in the ball. Although the culprit hasn’t been located, it apparently was someone bent on injuring a dog — or, perhaps, a human. “I was really shocked. 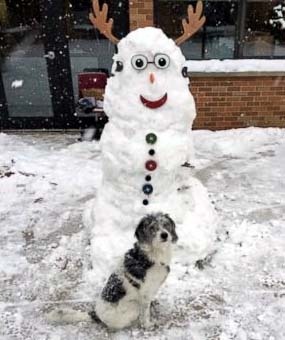 I wondered how this could happen,” said Storlie, who said he takes the 2½-year-old rescue dog to the park along the Mississippi River about once a week. After the 55-pound Coco claimed the ball as her own, Storlie decided to use it to play fetch with her. 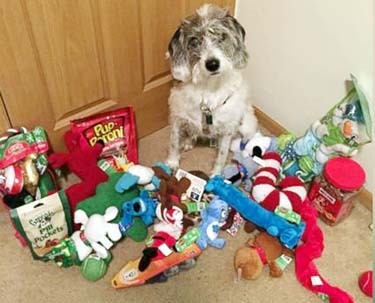 “She loves to chew on tennis balls, and it was rolling around in the car,” he said. “I didn’t notice the nail until I went to wash the ball and saw a rusty tip sticking out,” Storlie said. Investigating further, he pulled the nail out and discovered that it was as long as the ball’s diameter, he said. Storlie checked Coco’s mouth, and she did not appear to be injured, unless, perhaps, she picked it up and dropped it right away if the nail stung her, he said. “Or, if she was injured at the beginning and it healed,” he said. Storlie sent an email to the city’s Parks and Recreation Department, but he has not received a response. Parks officials could not be reached Tuesday. “I’ve talked to family and friends, and they are appalled. My daughter said when we watch her dog, don’t take it to the dog park anymore,” said Storlie, principal scientist and managing member of his own company, The OS Group. Kathy Kasakaitas, animal control protection and rescue supervisor at the Coulee Region Humane Society in Onalaska, said she hasn’t heard of such incidents locally but expressed concern. Several area veterinarians also said they have not heard of such cases. Similar instances — some real, others, hoaxes — of nails hidden in food, contaminated meat and treats laced with antifreeze have been noted on social media sites the past few years. In a confirmed case in Lancaster, Pa., in October 2011, two large pieces of meat sabotaged with nails were found just outside the fence of a dog park, according to an Associated Press report. A young girl and her father who had taken their dog to the park found the meat, police Lt. Todd Umstead said. Each had several framing nails “loosely attached” to their undersides. The dog wasn’t injured because “it didn’t even touch the stuff,” Umstead said. 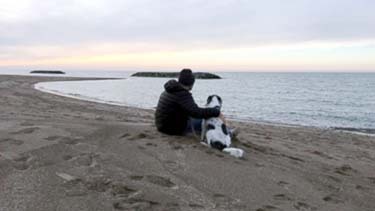 Several network TV news reports in recent years also have chronicled cases of dogs and cats dying from poisoned meat or treats at dog parks. The damage that might result if a dog chomped down on a nail-implanted ball would depend on how hard the canine bites, said Dr. Douglas Kratt, a veterinarian at Central Animal Hospital in Onalaska. “There could be lacerations, but the dog would feel it before it did a whole lot of damage” and drop the ball, he said. If the dog kept chewing, he said, it could suffer a puncture of the tongue or roof of the mouth, perhaps even rupturing the nasal area. If one did so, it could cause internal lacerations, all the way to the intestines, he said. Asked what a dog owner might do, such as trying to get the animal to vomit to dislodge the nail, Kratt said such a maneuver could cause more damage going back up than it did going down. “If you are concerned about that,” he said, “contact your veterinarian immediately. 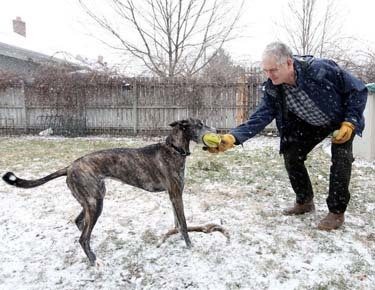 Local complaints about dog parks generally involve unruly dogs, Kasakaitas said. “Dog parks are meant to be a good idea, but sometimes they are not a good idea because people are not focused on their dogs,” she said. Some allow their pets to become aggressive without reprimand, she said. Sometimes, several dogs that routinely go to a park might gang up on a new visitor in a territorial dispute, she said. “The biggest thing is that people should have their dogs under voice control and, if they don’t, to use a leash,” Kasakaitas said. Anyone who happens to find a booby-trapped toy should call the Humane Society at 608-781-4014 or the local police department, she said. If a perpetrator were located, he or she would be responsible for damages and veterinarian bills, she said. MARYLAND -- The state prison agency says it's no longer allowing inmates to raise rescued pets for adoption at a medium-security prison in Western Maryland after a pit bull attacked two inmates and a correctional officer. The curtailment of the program at the Maryland Correctional Training Center does not affect other animal-centered programs within the Maryland Department of Public Safety and Correctional Services, including a program at the Western Correctional Institution in Cumberland where inmates train service dogs for disabled veterans, the agency said in a statement Wednesday. Agency spokesman Robert Thomas told The Herald-Mail on Tuesday that the prison pet program at the 180-bed institution near Hagerstown has been discontinued until further notice. The program allowed inmates to care for cats and dogs from area animal shelters. Proponents say it saved scores of animals from euthanasia since it began in July 2014. But Thomas said the program was growing without guidelines, raising issues exemplified by the recent dog attack. "We cannot just continue to take in dogs and cats. That's not the business of a correctional institution. There are significant limitations. I think somewhere along the line, that part has been overlooked. This is a correctional facility," Thomas told The Herald-Mail. Warden Phil Morgan told The Herald-Mail in July that the program had had "a total calming effect" on the prison's inmate population. The program saved 43 dogs and 16 cats from euthanasia in its first year, the newspaper reported. Jessica Stevenson, who helped manage the program, said the prison was housing 14 full-grown dogs and six puppies when a reporter visited in July. She said the pets sometimes received obedience training but others just needed attention. Thomas said many people have questioned the decision to end the program. But he said it couldn't continue without a clearer structure. "The program seems to have morphed into a growing operation up there without the necessary guidelines and requirements," he told The Herald-Mail. 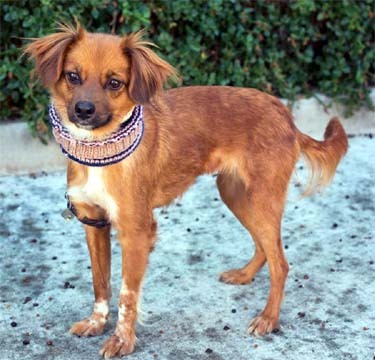 CALIFORNIA -- San Diego Humane Society officials have asked for help locating the person or people responsible for wrapping chicken wire around a small dog's neck recently, leaving the dog with wounds nearly to the bone. 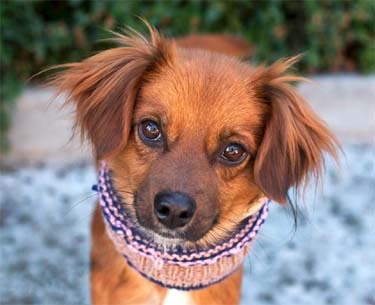 Melody, a "sweet" 4-year-old spaniel, was brought to the Humane Society last week in Oceanside suffering from severe lacerations around her neck, according to a Facebook post from the organization on Wednesday. "The way the chicken wire was tied indicates that this was an intentional act,'' Steve MacKinnon, chief of humane law enforcement for the San Diego Humane Society, told KTLA sister station KSWB. "The injuries she has suffered cut into her flesh all the way to the bone." "She's very lucky to be alive," MacKinnon added. Melody underwent successful reconstructive surgery to repair the deep cuts, the post stated. She has been given a "positive prognosis" for her recovery. Authorities investigating the incident hope the public can provide any information that will lead to an arrest. To that end, San Diego Crime Stoppers has offered a reward of up to $1,000. "We're asking the community to please report any information or possible leads so we can find the person responsible, or Melody's previous owners,'' MacKinnon told the TV station. 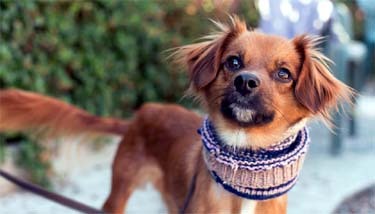 Anyone with knowledge of the case was asked to contact the San Diego Humane Society at 619-243-3466. Additionally, anonymous tips can be reported through the website www.sdcrimestoppers.com, or by calling 888-580-8477. 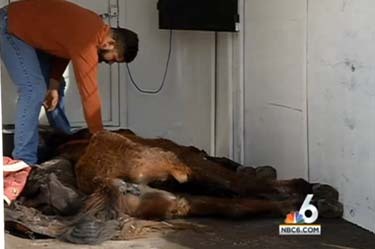 FLORIDA -- An animal rescue group is hoping to nurse a group of sick horses back to health. 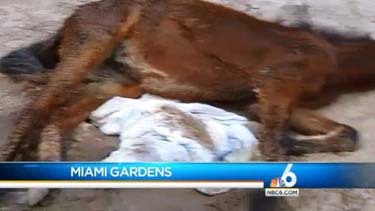 The ASPCA said they found five horses in bad condition in Miami Gardens near 159th Street and Northwest 57th Avenue. 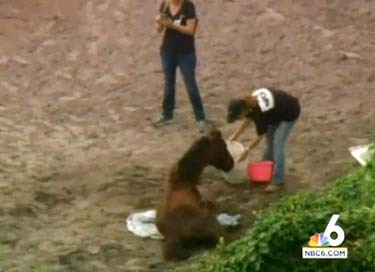 Aerial footage showed two women who got one horse to drink some water and other horses being treated at the scene. Animals services helped in the rescue and said they also found a dog and her five puppies emaciated. There's no word yet on who's behind the abuse. AUSTRALIA -- A koala has been rescued from "out of control" bushfires in Australia after being found unconscious by firefighters. Fires swept across Victoria state on Christmas Day, destroying 116 homes and forcing residents of the worst affected areas to spend the night in shelters, according to ABC. 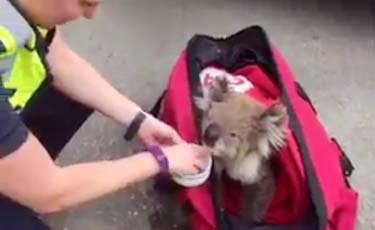 While battling the flames, fire authorities found an unconscious koala by the side of the road near the Wye River, Reuters reported. 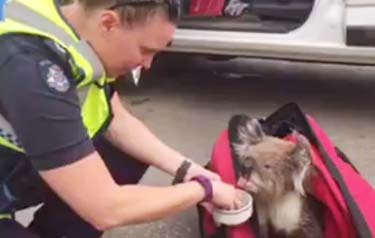 They brought the marsupial, of which only about 80,000 are believed to be left in the wild, to the fire station and then handed her over to Victoria police. She was fed gum leaves and water - the low nutrition, high fibre diet which explains why koalas spend so much time in trees sleeping and digesting - and she appeared to revive. 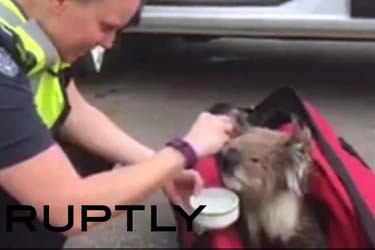 Now named "Constable K Bear" by police, the koala is in good health according to authorities. Amy Hidge, of Wildlife Victoria, told The Guardian that it was not known how many animals had died in the fire. "Often, you can't see if the pads on their feet have been burnt or if they have smoke inhalation, so we're saying that if they look a bit off, they're probably bushfire affected," she said. Koalas used to be widespread in Australia, but were shot for sport and hunted for fur from the beginning of the last century. They have also been culled by the Australian government because they were "dying anyway." Eighty per cent of koala habitat has since disappeared, which leads to about 4,000 exposed koalas being killed by dogs and cars each year, according to the Australian Koala Foundation. 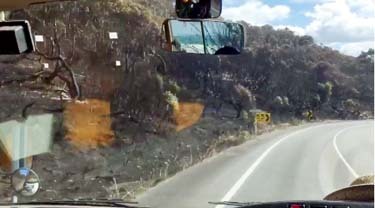 The fire along the Great Ocean Road, a national heritage stretch of road along the south-eastern coast, began on Christmas Day with police beginning to evacuate houses in some areas around midday. Flames tore mainly through houses in the foothills while sparing the main strip of Wye River, the worst affected town. RIO RANCHO, NM -- The pit bull whose vicious attack on an 11-year-old Cielo Vista Elementary fifth-grader could return home today, but its owners will apparently face no reprisals. The same can't be said for the victim, Cosmos Skelton, who bears an ugly series of 37 stitches that curl up the side of his forearm. The attack occurred Easter Sunday at the Northern Meadows home of Joseph Kraus shortly after Skelton, a frequent visitor, had stepped inside, along with two girls who live there. The dog, Angus, was rarely inside the house because of his temperament, Skelton said. And when the two girls saw the animal, they both fled, leaving Skelton alone with it. "I guess he thought I was an intruder," he said. "I backed up against the wall and threw my arms up in the air and he must have taken it as a threat." The dog chomped down on Skelton's arm and its grip was so powerful that Kraus and two other people had to pry the dog's jaws open from Skelton's arm. It finally let go after somebody dumped a bucket of water on it, he said. "I was getting bit and my arm felt numb," Skelton said. "I just felt this gigantic mouth on my arm." Once freed, he managed to stumble outside and his older brother, who was also visiting the house, helped him to their nearby home and his father rushed the boy to Albuquerque's Presbyterian Hospital. "It was a big cut, deep into the tissue," said the father, Daniel Skelton. "Every time he moved his fingers, you could see the muscles and tendons in his arm moving." Nothing inside his arm was severed so the long-term prognosis is favorable, the father said, but the antibiotics that Cosmos was originally prescribed weren't effective so the boy had to return to the hospital last week to be re-examined. "He's doing OK now," Daniel Skelton said. "Monday was his first day back to school. He was nervous about it getting it bumped though." Meanwhile, Angus could be returning home after a mandatory 10-day quarantine. The owners have until 5 p.m. today to pick up the dog, after which it could be adopted out or put down, said police spokesman John Francis. A Rio Rancho Police report showed the dog had been vaccinated for rabies in December. But neither it, nor any of the other three dogs on the premises, are registered or licensed. The owners have until Thursday to show animal control the proper paperwork. Daniel Skelton said he's been told by the dog's owners that Angus had attacked one of their own children and also another dog. The owners had originally planned to euthanize the dog, but recently said in a local television broadcast that they planned to keep it. The phone number at the Kraus residence is not accepting phone calls. Skelton, whose family has three dogs of its own, including a pit bull mix that Cosmos rescued, said he has nothing against the breed. "We're not anti-dogs and we're not anti pit bulls," he said. "But it goes to the way this dog is. You can't go back and make it a puppy again." And since the attack occurred inside the home, neither the dog nor its owners will face penalties under city ordinances, Francis said. That, Skelton says, is wrong. At the very least, he said, the family should be cited for the unlicensed dogs, which carries a $100 fine for each animal. 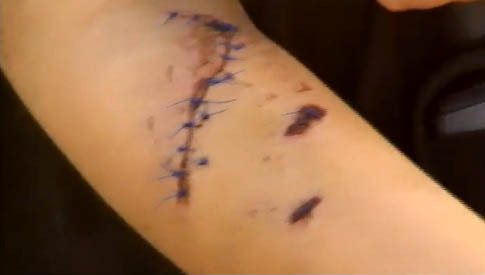 A pit bull that tore a chunk out of a Rio Rancho boy’s arm will be euthanized. Police spokesman John Francis said Friday the owner of the dog that bit 12-year-old Cosmos Skelton voluntarily turned the animal over to police and agreed to euthanization. He said the owner also provided proof of vaccinations and got city licenses for three other pets. The boy’s father, Daniel Skelton, could not be reached for comment. 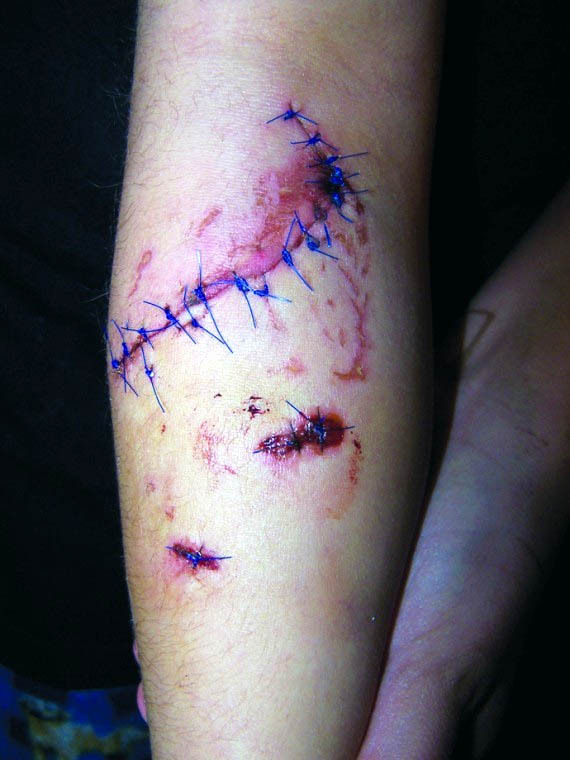 The attack occurred on April 24, when the dog bit the boy’s right arm and caused wounds that required dozens of stitches. It happened in the home where the dog lived. Cosmos Skelton had gone there to play with children who lived in the home, something he frequently did, according to his father. After the attack, Francis said the dog owner agreed to voluntarily quarantine the dog while police conducted an investigation. But she initially told a local TV station she would not have the dog put down. Francis said police couldn’t force the owner to euthanize the dog because the incident occurred inside the home where the animal lived and didn’t violate city ordinances. That angered Daniel Skelton, and spurred Rio Rancho dog trainer and behavior specialist Dianne Sullivan of Good Dog Training Center and Doggie Resort in Rio Rancho to say the animal should be euthanized because it might pose a risk to other children. 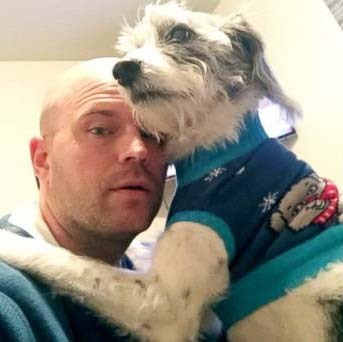 PENNSYLVANIA -- A Pennsylvania man is taking his beloved dog on bucket list adventures after receiving news that her life would be cut short due to cancer. "Sometimes in life you get stagnant, but by me doing all of these things with her, it's kind of re-energized my life," Todd Burchanowski of Erie, Pennsylvania, told ABC News. "I hope people can do this for themselves, or with their loved ones as well." Burchanowski, 36, a high school teacher, said it was the day after Thanksgiving when Reyes, his 8-year-old female poodle/beagle mix, was diagnosed with terminal lymphoma. "I was absolutely devastated," he said. "I love her to death and she's my best friend. I count on her for a lot of things, not just companionship. To hear she's not going to be around, that really took a toll on me." Since Reyes was given two months to live, Burchanowski decided he'd make the time she had left worthwhile by creating a bucket list of exciting things to do before she dies. Reyes bucket list consists of 81 adventures including a trip to Niagara Falls, a sled ride, a feast of McDonald's french fries, a swim and a shopping spree. Even Burchanowski's students at Fort LeBoeuf High School in Waterford, Pennsylvania, helped him cross another item off the list -- have Reyes marry in a mock doggy ceremony. "Reyes is so important in my life, in my family life, the kids [I teach] at school...I always have a Reyes story to tell," Burchanowski said. "I thought it would be a good idea if all the people in her life came up with an item for a list. "I want everyone to know how much people have given to me and Reyes in this time under unselfish acts of kindness," he added. Burchanowski said he and Reyes are continuing to cross more items off the list today by taking a trip to PNC park to take photos with statues of baseball players. CALIFORNIA -- A 2-year-old cancer survivor with an amputated arm is getting a special gift: A kitten that also suffered an amputation. Matt and Simone Tipton, of Orange County, had been searching for a kitten for their daughter Scarlette, who was born with a rare form of cancer. Scarlette's left arm had to be amputated when she was 10 months old. Doctors say she's now cancer free. Scarlette's parents wanted to find a kitten that had undergone an amputation surgery to help in their daughter's ongoing recovery. That's when they heard about Holly, a kitten two women found bleeding from a traumatic injury in December. The kitten's left front leg was amputated. 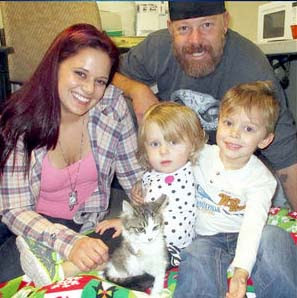 The family drove to the San Jacinto animal shelter to adopt the cat named Holly on Christmas Eve. FLORIDA -- The man who broke the jaw of popular South Walton pastor Tom Guido with a punch to the face has been charged with felony battery. 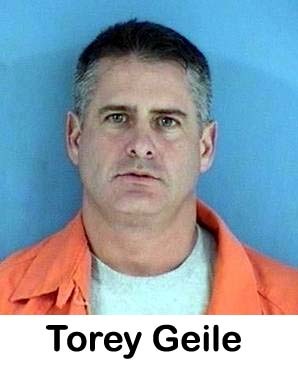 County Judge David Green signed a warrant late Tuesday afternoon for the arrest of Torey Geile, according to Greg Anchors, chief assistant state attorney for Walton County. Geile, a roofing contractor and engineer with Destin Roofing Inc., had retained counsel and turned himself in at about 12:30 p.m. Wednesday, according to an official at the Walton County Jail. He could not be reached for comment Wednesday prior to being placed into custody. Green had waited a full week before signing the arrest warrant. He wanted to know Guido was willing to proceed with pressing charges, Anchors said. As the case hung in limbo, a handful of residents of the subdivision where the pastor and Geile’s family walk their dogs called the Daily News to express concerns about the incident that led ultimately to the arrest. All of them said Geile was the clear aggressor in the dog fight dispute that resulted in a single devastating punch being thrown to Guido’s face. Both Anchors and Sheriff Michael Adkinson said Wednesday it was clear to them by the time the warrant was actually signed that charges against Geile were justified. “Whatever explanation he had for hitting (Guido), he wasn’t justified under the circumstances,” Anchors said. Guido, pastor of Resurrection Catholic Church in Miramar Beach, and neighbor Edward Fincke were walking their dogs early Dec. 19 when two big dogs, Rhodesian Ridgebacks, belonging to the Geiles ran up on them. Geile’s wife had been walking the dogs and they got loose when she let go of their leashes, reports said. Guido suffered a broken jaw severe enough that he had to be hospitalized. Letter to the Editor: "Slow response to dog attack"
VERMONT -- On the evening of Oct. 22, I was attacked by a pit bull and sustained injuries which required medical attention. Following the incident, I contacted the animal control department and City Hall hoping to address the safety issue posed by the animal. When my entreaties fell on deaf ears, I voiced my concerns with the Board of Aldermen. A committee was formed to address the issue a full month after the date of the attack. Haste was certainly not a priority. The city of Rutland has now allowed two months to pass while the animal in question remains on the premises where the attack occurred. While a decision is forthcoming, the amount of time it’s taken to address this public safety issue is inexcusable. Just how grave must an event be before the city of Rutland takes swift action? Perhaps a vicious dog bite is of less importance to our appointed and elected officials. The message is clear — you’re on your own. MICHIGAN -- Police have requested charges in a Dec. 22 dog attack that ended with one dog fatally shot and the other injured. Port Huron Police Capt. Jeff Baker said officers requested a 48-year-old Port Huron man walking the large dog involved in the attack be charged with dangerous animal at large, a misdemeanor. Police also requested the 48-year-old woman who owned the dog be charged with dangerous animal at large and unlicensed dog. Both charges are misdemeanors. St. Clair County Prosecutor Mike Wendling said the case remains under review and no charges have been authorized. 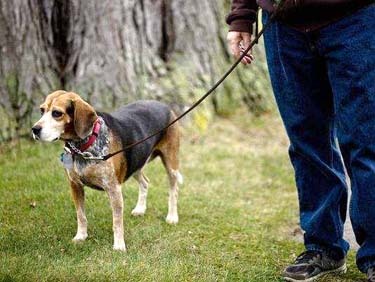 Bill Kessler said he was walking his beagle Daisy on a sidewalk Dec. 22 in the 2900 block of North Boulevard when a large dog charged Daisy. Kessler said he sprayed the large dog with pepper spray. When the dog continued to attack, Kessler fired his gun three times, hitting the dog twice. The large dog ran a short distance, collapsed and died. Baker said Kessler has a valid concealed pistol license. “He was protecting his dog who was going to be seriously injured or worse had he not intervened,” Baker said. Meghan Marsh said the large dog shot and killed during the attack was named Sugar, was a mixed breed, and belonged to her mother. Marsh has maintained the beagle entered Sugar’s yard when the attack happened, and that Kessler has threatened to shoot other dogs in the neighborhood as well. 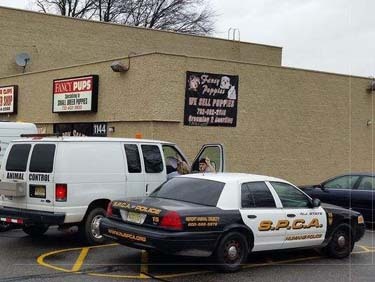 NEW JERSEY -- A pet store owner is accused of selling sick puppies in New Jersey. The shop in Woodbridge called "Fancy Pups" was shut down by police and the owner was arrested. There are six remaining dogs of the 13, most of them confiscated from a puppy store on St. Georges Avenue in Woodbridge. They have been put under quarantine in a temporary holding trailer at the animal shelter there because they have many health issues, including parasites. "It's a disease they all have from being in unsanitary conditions," said Dennis Green, the Director of Health and Human Services. Animal Control and the state SPCA says the store and its owner has racked up violations for a long time, including complaints from customers that he sold them sick animals. "He's been on our radar for some time, we shut him down earlier, he was closed," Green said. Eyewitness News found owner Rocco Garruto at his other business, a used car lot. 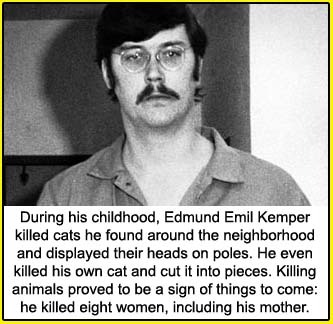 He also housed animals in cages there in the garage. He showed Eyewitness News and says he's done nothing wrong. "There was no danger to the dogs," Garruto said. But Green says the animals were obviously sick, not being treated, and in inhumane conditions. "When you see that an animal is sick, you quarantine it. It doesn't look like he was doing that so all of them got sick," Green said. Garruto was arrested they say, after selling animals when he was ordered to stop. Animal welfare agencies want "Fancy Pups" closed for good. A pet fish store owner in the same strip says cleaning up starts before dogs get to the store. "The issue of puppy mills should be addressed when it gets to the level of stores, people are just trying to make money," said Will Zajack, the owner of Aquatic Obsessions. Garruto calls it the town's personal vendetta against him. "They just don't want a pet store here, any pet store," Garruto said. 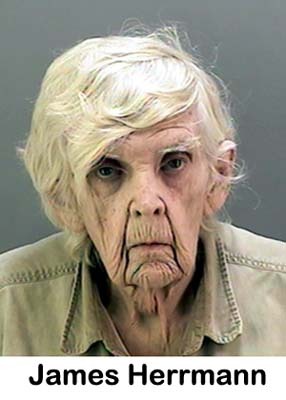 Garruto goes to court Wednesday evening on more than 100 counts including animal cruelty. He could face jail time. He told Eyewitness News that whatever the outcome, he has no plans to open the store again.